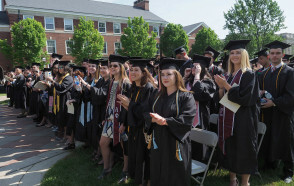 An analysis of DePauw University's 2018 graduating class finds that 97 percent of the students who were conferred degrees by June 30, 2018 found employment, went on to graduate school, received fellowships or had other positive outcomes. Of the remaining three percent (12 graduates) only four were still considering their next steps; the other eight could not be reached for a report on their status. 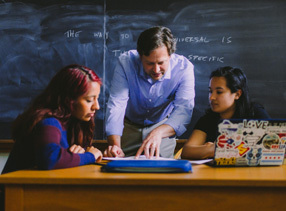 "These exceptional outcomes are only possible because our entire campus is involved in preparing students for success," notes Dave Berque, associate vice president for student academic life, dean of academic life, executive director of the Hubbard Center for Student Engagement, and professor of computer science at DePauw. "Excellent faculty deliver a strong curriculum and provide close personal attention to help students develop. This academic work is augmented by a rich set of co-curricular experience that further position our students for positive outcomes in a variety of fields." Graduates received jobs at firms including Salesforce, Oracle, Deloitte Consulting, Charles Schwab, Music For All, Honeywell Aerospace, Cummins, Chicago's Field Museum of Natural History, and Eli Lilly and Company. 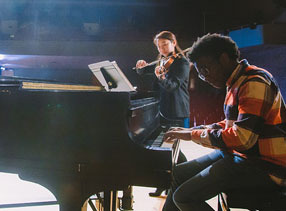 DePauw's Class of 2018 is now attending graduate programs at a range of institutions, among them the University of Michigan, Northwestern University, University of California - Irvine, Pepperdine University, Indiana University School of Medicine, Mayo Clinic, Cambridge School of Music, University of Notre Dame School of Law, UCLA, University of Iceland, and Carnegie Mellon University. 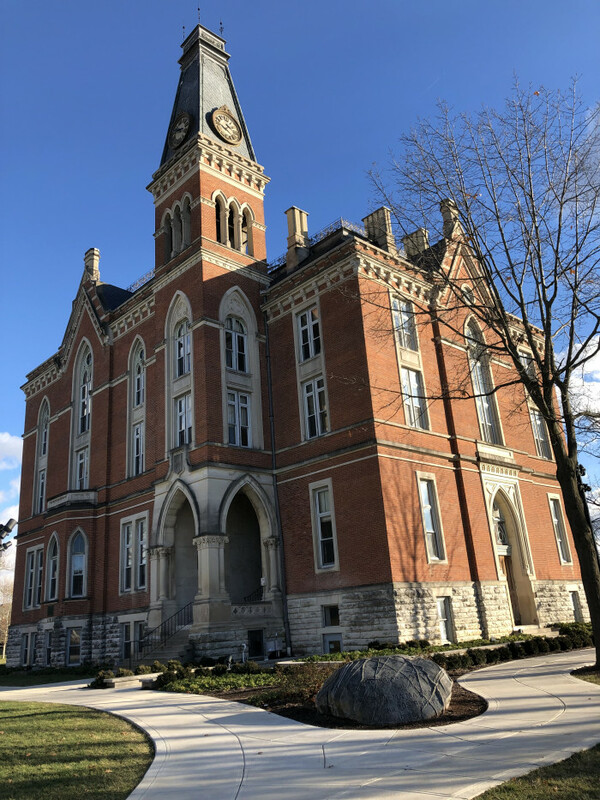 "DePauw is proud to offer this one of a kind commitment to families that invest in a distinctive DePauw education," stated President D. Mark McCoy. 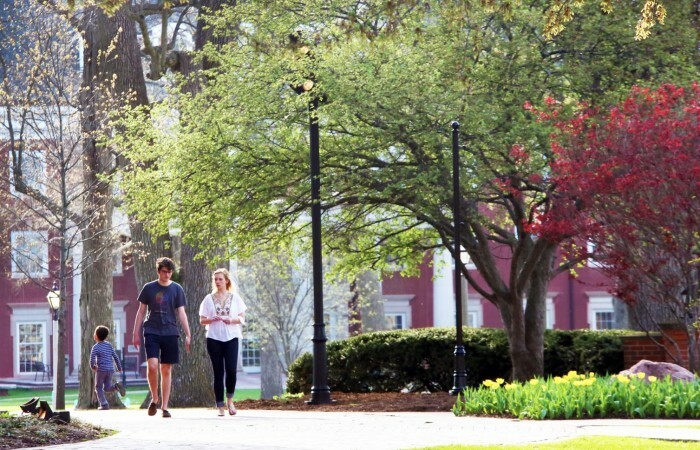 "Our launch of the DePauw Gold Commitment last spring underscores our determination to provide an impactful and relevant liberal arts education for the 21st Century. 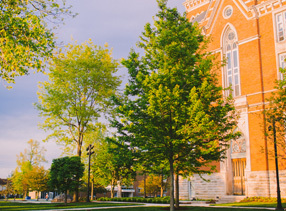 DePauw equips our students with the tools to begin the trajectory toward uncommon success in the world the moment they receive their diplomas." This year's incoming students in the Class of 2022 are the first to matriculate under the Gold Commitment, which is both a commitment to the liberal arts, long the gold standard of higher education, and to the success of each and every DePauw student. It aims to bring the "positive outcome" percentage to 100. 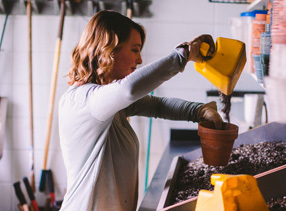 As Doug Lederman wrote in Inside Higher Ed, "There is abundant evidence that a liberal arts education prepares graduates for successful careers, as well as, of course, a successful life. 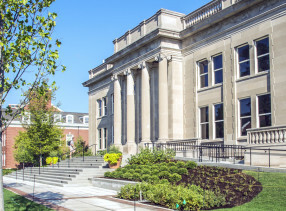 But with many parents and policy makers increasingly focused on students' first jobs, DePauw is making a grand statement to show that it can do that, too ... 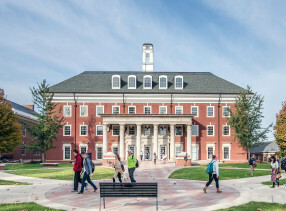 The university vows that for any student who does not have an 'entry-level professional position' or acceptance to graduate school within six months of graduation, DePauw and its employer partners will either give them a full-time entry-level position for at least six months, or the university will give the graduate another semester of education tuition-free." 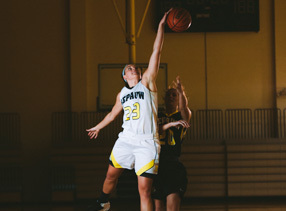 Learn more about the DePauw Gold Commitment by clicking here.